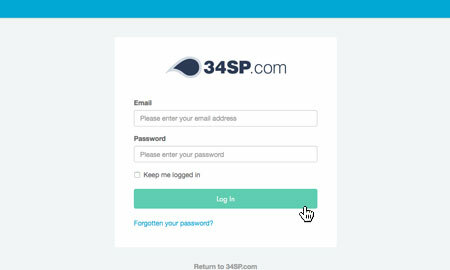 This is a quick step-by-step walkthrough for viewing your referrals & 34SPoint data. 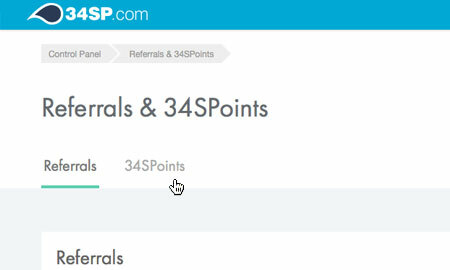 You can earn 34SPoints each time you buy a new hosting product via 34SP.com, or if a 34SP.com customer buys a new hosting product and has been referred by you. You can earn a free month of web hosting with our 'Refer-a-Friend' program. For more details on our referral program, please see 'Refer A Friend to 34SP.com'. If you are looking for more information on 34SPoints, please see 'What are 34SPoints?'. 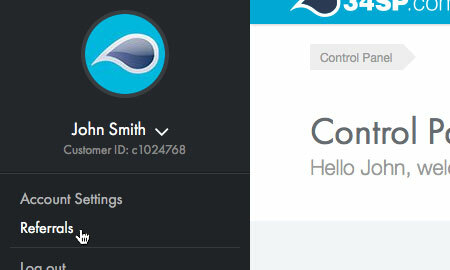 Once you have logged in, click on your name in the Control Panel sidebar. Then choose 'Referrals' from the dropdown menu. 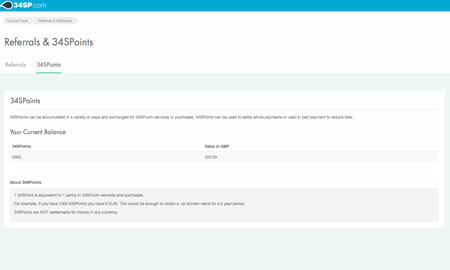 This will bring up the referrals page, which contains and explanation of how the referral programme works. 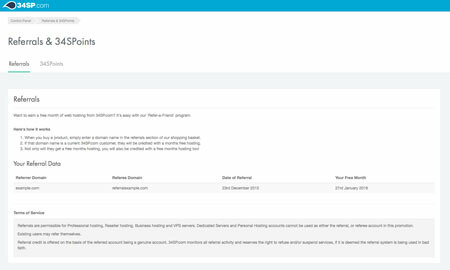 If you scroll down to the section titled 'Your Referral Data', you can view an archive of all the referrals you have made, as well as any referrals other users have made to you. 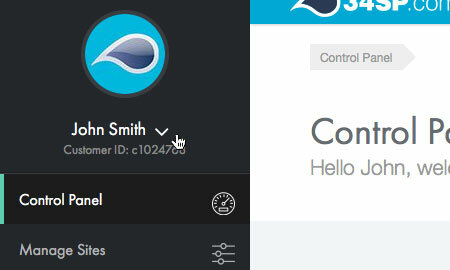 When viewing the 'Referral' page, just click on the tab labelled '34SPoints'. This will bring up a page, displaying your current 34SPoint balance.